No one feels pleasant when they’re sick, but when you’re older, it becomes more difficult to battle some illnesses. These illnesses have a way of taking a different toll on our seniors. This can be especially true for those who suffer from delicate conditions like dementia. When it comes to such conditions, a caregiver may become necessary. Seniors are the most likely to need extensive care. After all, they’re likely to suffer from reduced mobility and sensory control. Because of that, they are more at risk for falls and/or skin breakdowns. Having an in-home caregiver can reduce those risks significantly. A caregiver can help to identify the signs and symptoms of when a disease is worsening or becoming more difficult to deal with. They can help provide proper nutrition and make sure that the seniors stay hydrated. They can also help in doing simple tasks around the house when your loved ones are too weak to manage them. But most importantly, they can provide companionship to help your seniors feel loved and safe. 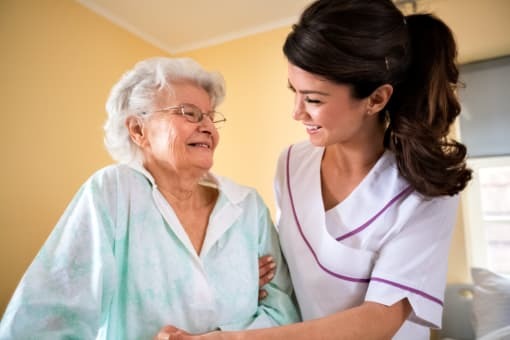 Home care has many benefits; the chief among them being the actual care itself. However, there are so many additional benefits to receiving home care. Looking for senior care services isn’t easy. After all, there are just so many choices out there. But these decisions shouldn’t be rushed, as elder care is not something to be impulsive about. It doesn’t matter where a person is in the world. They can find themselves in a position where they need home care. This is where Helping Hearts Senior Care comes in. We provide a wide range of services that can take care of an equally wide range of care needs. If you or someone you love in the Birmingham, Al area find yourselves in need of care, please don’t hesitate to give us a call at 205-490-1079. We offer complimentary in-home assessments to help you get the care that you deserve. This entry was posted in Caring for Seniors and tagged Elderly Care, Health Care, Home Care. Bookmark the permalink.